Hey Readers! Do you like your Christmas sweet and cuddly? How about heartwarming and small town? Or with the pitter-patter of little kitty and puppy feet? Then you’re in luck this Season. 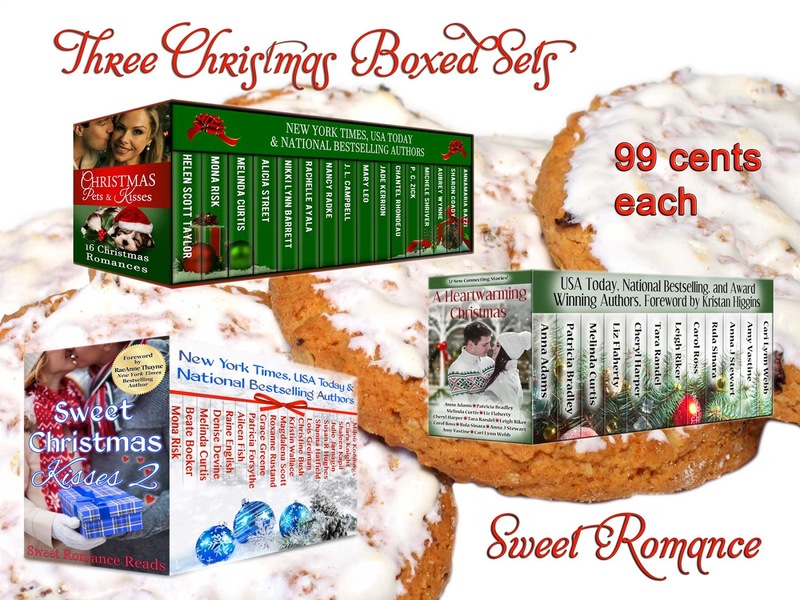 Three Clean and Wholesome boxed sets of Christmas romances for under Three Bucks. Christmas Pets and Kisses is full of fun and frolic as each story mixes romance with the antics of furry or feathery pets. Don’t miss romantic Christmas tails, er tales, as adorable pets bring holiday magic and the gift of true love.